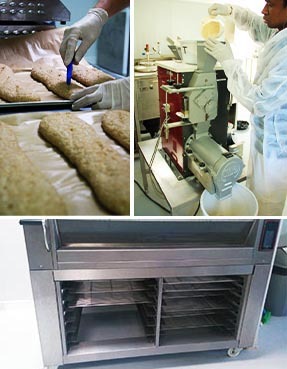 For many years, the processing laboratory has been conducting bread-making studies in the framework of residue studies. In order to develop our services and to meet our clients’ requirements, we decided to receive training on the analysis and the making of bread according to GEP principles, which have been subcontracted until now. 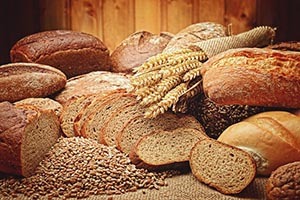 The EPPO or CEB 218 methods for bread-making require more skills on the analysis of the dough throughout its process and on the characterisation of the bread or the crumb. In order to acquire these abilities, we received training from the INBP (French National Institute for Bread and Pastry) last summer. Some investments in equipment were made: a controlled proofing chamber, a rolling mill and a new oven were purchased. After a testing period, the laboratory is now able to offer you this new service for the upcoming harvest. With this new expertise, Staphyt can now manage all the different steps of a GEP wheat study, from the field trials to the bread taint tests.